Contrarian investing is a strategy that a number of managers agree should produce superior returns. By buying stocks that trade at low valuations, and avoiding stocks that have been bid up by the market, investors generally have less room to lose money but can stand to gain substantially if the market’s judgment of low-valued companies changes. Unfortunately, contrarian investing is psychologically difficult. Investors often must look at a stock chart that shows a 60% decline, or even higher, and ignore any pattern recognition skills which tell them that the price is going to decrease further. Much of the discussion of the stock may come from short sellers, who have earned high returns from the stock’s decline and have seen their investment thesis justified. Using Fidelity’s market data, we conducted a screen for these bold contrarian picks. Each stock has at least a $2 billion market cap, a short interest of at least 5%, and a stock performance on a trailing 52 week basis that is in the 20th percentile of the market or lower. Unsurprisingly, one of the names that shows up in the screen is Green Mountain Coffee Roasters (NASDAQ:GMCR). 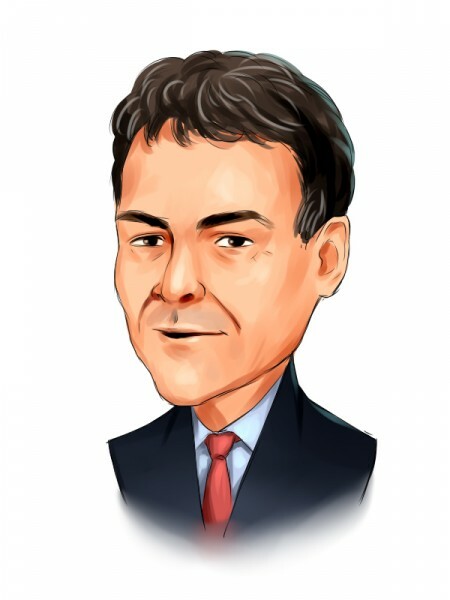 David Einhorn famously announced his short position in Green Mountain at last year’s Value Investing Congress, and his warning that the stock price was unsustainable has turned out to be prescient indeed. Down over 80% in the last year and still facing short interest from managers who think the stock is going lower, Green Mountain- if nobody told you the name- would look like a value stock at a trailing P/E of less than 9 and substantial growth in its last quarter’s earnings compared to the previous year. The once high-flying Netflix (NASDAQ:NFLX) is another of the names on the list. It has declined massively on the basis of its difficulties holding on to its content and paying its operating expenses, as well as suffering from its questionable decision last summer to charge separately for its streaming and DVD-by-mail businesses. Yet Netflix has its staunch defenders: Julian Robertson and several of his Tiger Cubs have gotten into the stock, and have been joined by Steven Cohen’s SAC Capital Advisors (read more about the hedge funds buying into Netflix). The stock is still priced for growth at a trailing P/E of 32, but some value investors think that the stock could recover. Prem Watsa’s Fairfax Financial Holdings, which had previously owned about 5% of Research in Motion’s (NASDAQ:RIMM) shares outstanding, just this week decided that the stock had fallen far enough that it was worth nearly doubling the fund’s shares (see coverage of Watsa’s purchase). Watsa is a value investor sometimes referred to as “the Warren Buffett of Canada.” Research in Motion has suffered from competition from smartphones and tablets, and is now unprofitable and delaying the launch of the BlackBerry 10. Short sellers are still putting their money behind a continued decline in the stock price, which is down nearly 90% from two years ago. U.S. Steel (NYSE:X) was on the Dow Jones Industrial Average from 1901 through 1991and is still the tenth largest steel producer in the world. The company has struggled during the U.S. recovery and has a net loss of $1.29 on a trailing basis. It also trades at less than its book value after the 59% drop it has taken over the last year. Steve Cohen’s SAC Capital Advisors tried to play the contrarian game in the first quarter of 2012, increasing their previously small stake in the company to 3.7 million shares. However, Cohen’s attempt to “catch the falling knife” has failed as the stock has sunk nearly 40% since the beginning of April. Einhorn may be one of the players included in the 24% short interest, according to his comments this May. Will Solar Stocks Be Hot Again?